Pallet and container theft amounts to hundreds of millions of dollars annually, (read more about the staggering cost of lost and stolen pallets and containers here). Some companies, including beverage suppliers, a plastic pallet rental company, and others, have lobbied state governments to take action. Pallet and container theft legislation is in effect in several U.S. states to help enforcement agencies more effectively address this problem. Some state legislation dates back more than 50 years while other laws have been brought into effect in recent years as lawmakers look for solutions to this issue. Such legislation typically makes the theft of pallets or containers illegal, and it may also include the unlawful possession of proprietary containers. 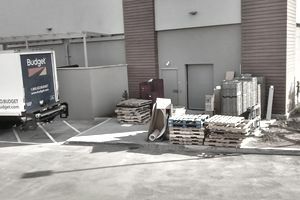 As such, purchasers of used pallets and containers are required to record and retain buyer information, such as driver’s permit and vehicle license plate numbers. The seller may also be required to show proof of pallet or container ownership before selling. Over the last decade, related legislation has been introduced in Arizona (HB 2168), Maryland, and California (AB 2269). The Arizona legislation, for example, requires recyclers to maintain records for inspection by police. Violations of the requirements are classified as a misdemeanor with a fine of up to $30,000 for each violation. HB 2168 requires companies buying more than 10 wood or plastic bulk containers or pallets to record the name, addresses and telephone number of the seller. Perceptions about the effectiveness of such legislation have been mixed. Due to the various facets of maintaining an effective asset management program, legislation alone cannot be expected to unilaterally eliminate pallet and container theft in the absence of making an active effort to manage the recovery of pallets and containers from "ship to" locations. A number of elements can be critical in the successful management of a reusable pallet or packaging program. Variables such as industry support and education, adequate policing, asset safeguarding behaviors, inventory control, executive support, program leadership, and staff training all can play pivotal roles in creating and maintaining a successful program. Likewise, pallet and container markings to communicate ownership of the assets is an important step. While the intent of theft legislation is meant to protect the rights of container owners, it can inadvertently impact recyclers who by circumstance come to accumulate such items. One particular issue of concern for pallet recyclers is that they gather used pallets, and they can inadvertently come into the possession of proprietary pallets that arrive in vanloads of pallets which they purchase. The situation has improved markedly over the last several years. In the past, there were cases of recyclers having been raided and charged with possession of stolen pallets - their crime simply one of pulling the pallets out of a truckload of purchased used pallets. Nowadays, major pallet rental companies such as CHEP, PEO, and iGPS compensate recyclers a nominal amount for returning their pallets that have been recovered "out of network." And the U.S. Postal Service, which at times has been very aggressive in pursuing its lost pallets, now often takes a less adversarial and more collaborative approach. For example, at the International Plastics Showcase, USPS promoted a theme entitled, “Got It. Return It." USPS stressed to attendees that wrongful use or destruction of postal property is a federal crime, potentially leading to three years of jail time and fines for anyone convicted. USPS also released a video of a sting operation involving a postal truck driver. Information about several state laws can be found at the Harrington Group website. In spite of efforts by enforcement officials and private investigators working for packaging owners, the theft problem endures, as evidenced by these arrests in November 2016. One of the industry groups that has been organized to stop plastic container theft is S.T.O.P.P., organized by the Texas Retailers Association.